We are now taking reservations for our annual membership outing at the Wa Wa Sum Lodge. The lodge is located on the banks of the Main Stream of the Au Sable’s fabled “holy waters,” just east of Grayling, Michigan. Arrival is any time after noon on Thursday, June 21 with departure on Sunday, June 24. You may come for one, two or all three nights. This years nightly rate with be $50.00 for one night, $100.00 for two nights and $150.00 for three nights. Please RSVP with Larry Risbridger by June 16 – cash or check payable upon arrival. Larry can be reached at [email protected] or by phone at 616.690.0692. Please give your name, which nights we can expect you, along with your phone number and email address. If you are attending for the first time and have any questions about the format of the weekend, please give Larry a call for details. 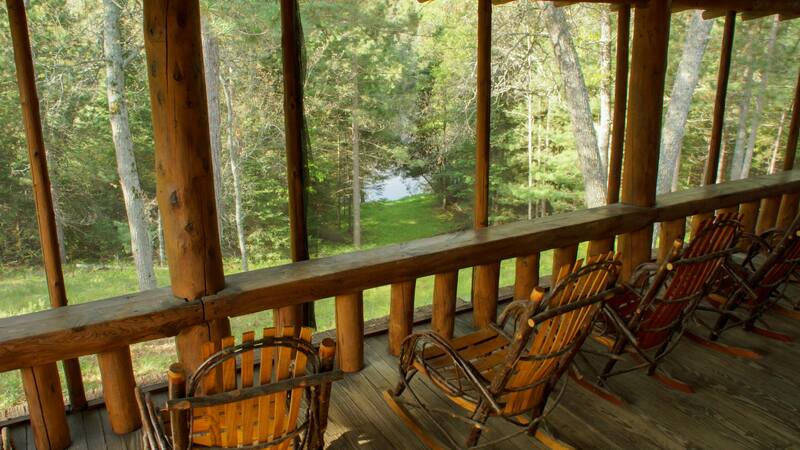 The Wa Wa Sum Lodge is an historic log building with a great porch over looking the Au Sable River. Sleeping arrangements are dorm style, so bring your own bedding or sleeping bag and towels. snacks and lunch items available for you to make meals to take to the stream. Please bring your own beverages. There are many restaurants located nearby in Grayling and Gates Lodge is just down the road which offers a great sit-down restaurant option for breakfast, lunch or dinner as well as delicious to-go riverside meals. If you prefer preparing your own food, there is a grill available for your use at the lodge. Mid-June is traditionally a great time for some of the best hatches of the season. 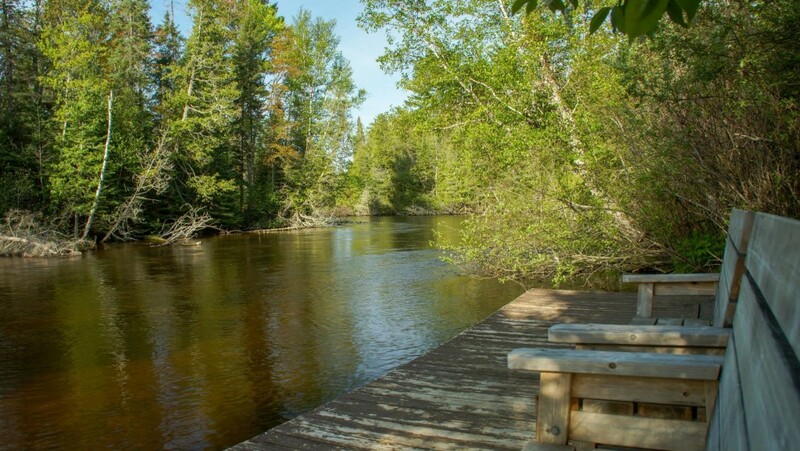 You can fish right in front of the lodge on the Au Sable or venture to other areas of including the North Branch and South Branch of the Au Sable and the Manistee River. (NOTE: there is a good chance that the famous Hex Hatch will be on.) If still water fishing is of interest, Wakely Lake is nearby for bass and bluegills. Wa Wa Sum is a Michigan State University research and conference facility located on the Au Sable River six miles east of Grayling. The name Wa Wa Sum means “Plain View” in the Ojibwa language and was given to the camp in 1905 by Chief David Shoppenagon, an Au Sable guide and woodsman. At the time, because of the extensive logging of the region’s pine forests, the view from the high bank on which the camp is built was unobstructed for miles to the South. Since then, the forests have regenerated, slowly obscuring the view of the river. Chief Shoppenagon built the first building at the camp, now known as the Dining Room, in 1880. 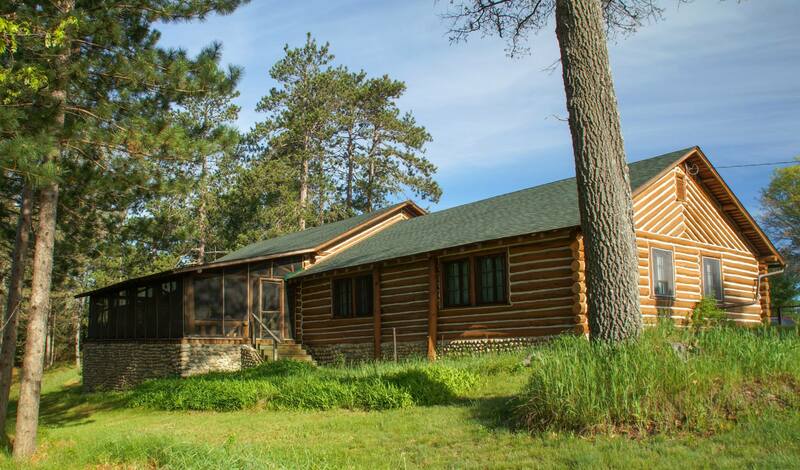 In 1897, Rubin Babbitt, an Au Sable woodsman who later became Michigan’s first wildlife officer, built a second structure, now the Administration Building. These first buildings were constructed of red pine and tamarack logs and used as a fishing camp for a group of Toledo businessman. Other cabins of various sizes were added in later years: the Bullpen (1907), the Big Camp (1921/22), the Barn and the Guide’s Cabin (early 1930’s). The buildings and 251 acres of land were deeded to MSU in1980 by owners Virginia Secor Stranahan and Frank Bell, descendants of two of the camp’s six original owners. Kevin Gardiner, a descendant of Rubin Babbitt, is the camp’s present caretaker. He is the third generation of his family to perform these duties.